The Loop West is welcoming Santa in a big way at this year's Holiday celebration! We invite you to experience the first annual SantaFest on Saturday, December 8th. Enjoy holiday entertainers and crafts, raffles, a kids fun zone, large gift raffles, a wine experience, a hot chocolate bar, and don't miss Santa's grand entrance. Arrive early, because the first 100 guests receive a FREE gift bag! 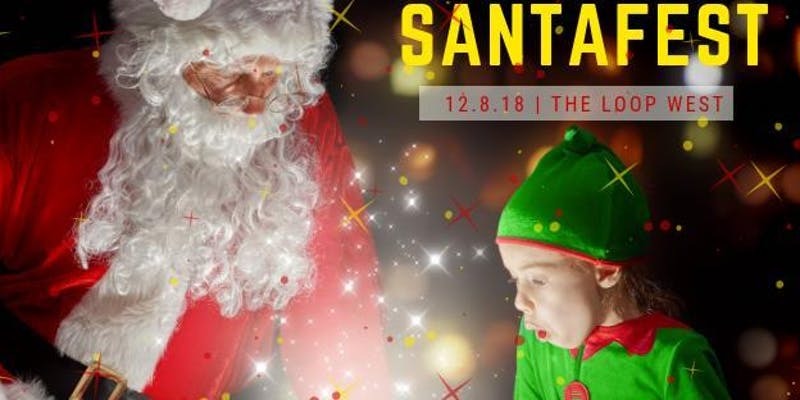 Come out and celebrate the Holidays with SantaFest at the Loop West on December 8th!